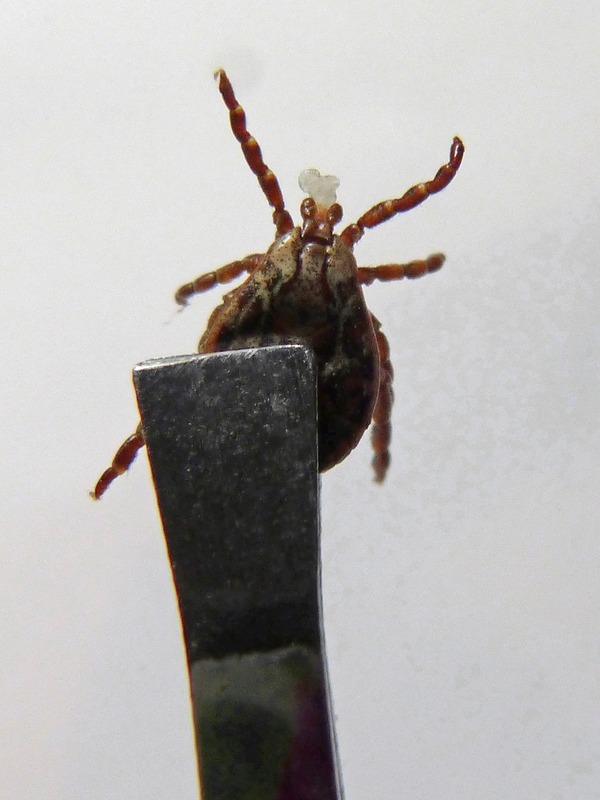 It’s that dreaded time of year again – tick season! Whether you are going camping, hiking or just hanging in your own backyard with your pet, ticks are something we all need to be aware of for ourselves and our pets. There are over 850 different species of ticks and they will feed on every kind of vertebrate animals, including your pets. How do ticks get on my pet? Ticks are generally picked up when walking through wooded areas or areas of tall grass. The ticks climb onto branches, limbs or grass and wait for a mammal to walk past and then drop down onto the host. Ticks will not attach themselves to their host immediately, but rather find the best place to feed. Running a wide tooth flea comb through your pet’s fur will help find the ticks before they latch on, making removal much easier. The best way to remove a tick from your pet is to use a pair of tweezers to grab the body of the tick and pull very slowly and gently until the mouthparts of the tick release. This should leave a small hole in the skin of your pet. If you see black lines, the head of the tick is still attached. If this happens, you should attempt to remove the head by scraping it out with a needle. You may need veterinary assistance to remove the tick head. If not removed the area could become infected. Once the tick has been removed, drop it into alcohol to kill it. Flushing them down the toilet will not kill them. Ticks can cause diseases such as Lyme disease, Rocky Mountain Spotted Fever, ehrlichiosis, anaplasmosis and others, which can be detrimental to your pets. Lyme disease is typically carried by smalldeer ticks which are about the size of the head of a pin before they feed. This means you must thoroughly check over your pets for ticks and look carefully. If symptoms of Lyme disease are noticed early an antibiotic treatment is effective in combating the disease. 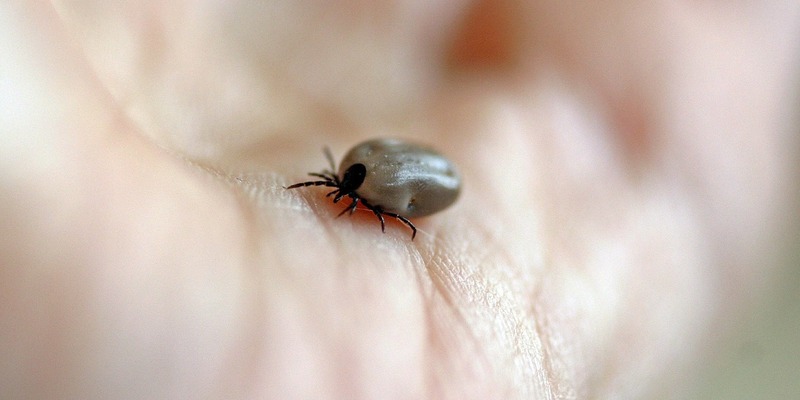 Symptoms of Lyme disease include high fever, stiffness or arthritic symptoms (stage 1); nervous system and heart issues (stage 2); musculoskeletal system (stage 3). A small, round rash at the site of the bite is an early sign of a problem. Lyme disease vaccinations are available for dogs and lasts through one tick season. The best way to combat ticks on your pets is to practice tick control. There are many products that are available at your local pet store to help control ticks in dogs and cats, such as Advantix, which is for dogs, and Frontline, which is made for dogs and cats. Also, if possible, avoid walking your dog in heavily wooded areas or fields of high grass. 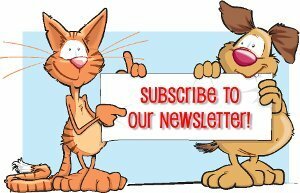 Do not allow cats to roam on their own as they will almost always end up in woods or tall grasses. If your pet is in one of these areas, be sure to do a tick check as soon as you return home and remove any ticks you may find.